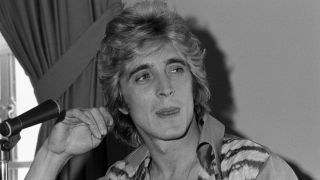 Cockney Rebel Steve Harley is holding a gig to raise money for a new tribute to Mick Ronson in Hull. Ronson made his name as a guitarist with David Bowie’s Spiders From Mars and was also a renowned producer and session musician. He was born in the Yorkshire city and his friend Harley will play at Hull City Hall on April 23 next year, with all proceeds going to a trust in Ronson’s honour. Mick Ronson died of liver cancer in 1993 at the age of 46 and a stage in his memory already exists at Queen’s Gardens in Hull – although it is not particularly beloved by fans. Harley tells the Hull Daily Mail: “I played the Hull City Hall back in February. I had noticed the Mick Ronson tribute and mentioned it in between the songs. “I asked, ‘Is it bad?’, to which everyone shouted at me, ‘Terrible.’ So 1200 people shared the same opinion about the tribute. “So I said, ‘I’ll come back and play to raise money for a new one’, so I have. Harley adds: “With the money raised with this concert, we want to be able to send young people who have incredible musical talents, be that playing or sound engineering or whatever, but are from a disadvantaged background, to university or college. Tickets cost £30 and are available from the venue’s box office website.